Wanna try something new? 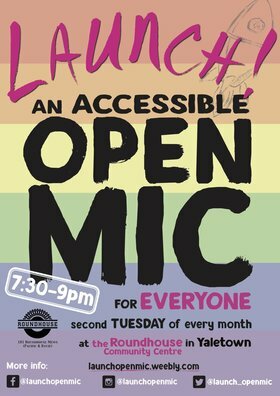 Our next open mic event is Tuesday, March 13th, 7:30-9pm at Roundhouse Community Centre in Yaletown (great alternative to the bar-scene is and all-ages!). This is a safe, inclusive, accessible space for people of any genre and experience level to come perform. Or come check it out as an audience member! LGBTQ+ and allies welcome.